I've had little time this week for knitting, however, I did finish the promise shawl and posted about it yesterday. I am glad that I finished in time for the bridal shower and now I am returning to a cowl that is nearly finished. Maybe today?? I finished Silver Linings Playbook over the weekend. I loved reading the story behind the movie. Of course the book is immensely better than the movie but the movie still stands alone as a great film. If you liked the movie and want to delve deeper into Pat Peoples life and thoughts, you should definitely read this book. I am almost half way through Oh Pioneers and love reading about the process of taming a wild land. The characters are interesting and the pace of the book makes you want to turn each page to see what happens next. 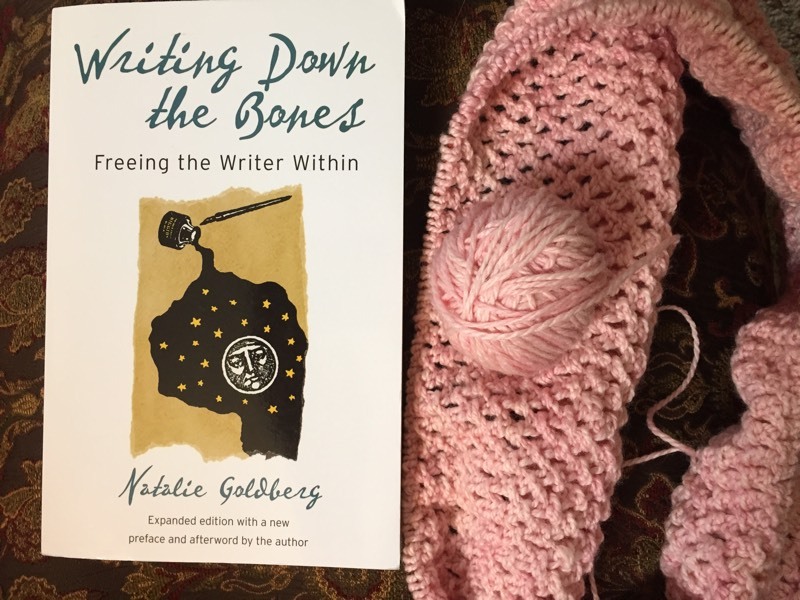 I started this book Writing Down the Bones by Natalie Goldberg and just read a bit here and there. This is a long term reading project that I pick up and read a chapter whenever I feel like it. She gives advice on how to establish a writing practice. What are reading and knitting this week? 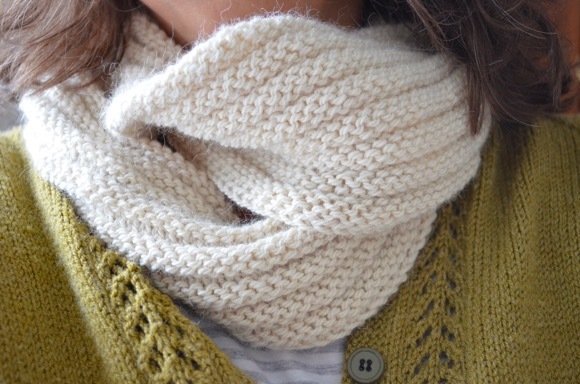 Oh I love to knit cowls! They are so pretty and practical at the same time. I'm a writer too! :) That book looks really interesting— I'll have to add it to my collection or see if the library has it. I've been off the writing track lately, but grad school and a new business will do that to a person. A really pretty cowl, I love the colour. That looks like a good writing book, I'll have to add it to my list. I love the pink for your cowl-that's going to be so cozy once it's finished! if your knitting is not twisted and the needles are twisted I'd google ways to unkink them. Some say after boiling water dip the cable part quickly in. I've never done that and have no experience in that. Usually when you get about an inch or so of knitting done the weight of the wool/yarn keeps the kink under control. another thought, is do you have too many stitches on the needle? Circulars come in different lengths, 16, 24, 30 inches and so on. If there are too many stitches on a short needles then stitches will fall off. Such a pretty shawl!!! I have Writing Down the Bones begun right now too. I'm doing the same thing....reading bits of it here and there! Gorgeous shawl and the cowl is such a beautiful colour. I love that color for your cowl! I am now wondering if you are just reading stuff with the intent to recommend it to me for my husband who is an aspiring writer and who also LOVED the film of Silver Linings Playbook. Tucking both these ideas away for a rainy day! Love that shade of pink Karen. Hope you had a wonderful day! lovely! I have not read that Cather book yet, sounds like one I need to get! so fun to have projects to finish! love that pink!! I love what you have going on with your reading:: a “classic", a modern, and a non-fiction. Nourishing brain food! Love the colors in your photo! I loved the book Oh Pioneers. My son asked me to read it said I would enjoy the book. Your vowel and shawl are beautiful! You are going to Scotland! OMG can’t wait to hear about your trip. We plan on going in a year (after we retire). Thanks for stopping by the blog, always a pleasure to hear from you. Your daughter's shawl turned out gorgeous...and I'll have to try out 'Oh Pioneers' ...sounds like it is a good one. Karen, that is a beautiful shade of pink, as well as gorgeous yarn! It looks so soft to work withi. I love Writing Down the Bones and Wild Mind. The rest of her books aren't that great, frankly. And definitely do not read her novel, Banana Rose. But those first two are truly great writing books. 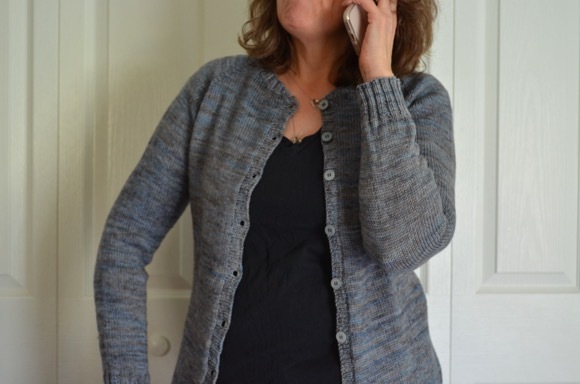 I just saw the shawl you completed - absolutely beautiful! I just finished reading Delicious! and Nantucket Sisters. Both were light and easy summer reads. I loved the movie Silver Linings Playbook - I'll have to get the book now. Thanks for sharing. Your promise shawl is stunning. I love the pretty pink for your cowl. I'm garter stitching my way through some short rows for Twinleaf and hoping to finish a sock long overdue ... as for reading. I dunno. Maybe I'll pick something up this weekend. I am sure you will finish that cowl quickly. You work at lightning speed!